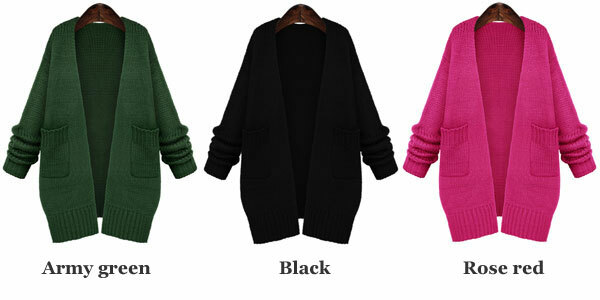 Loose Knitted Cardigan Sweater Coat, warm, simple design but stylish, popular to many fashion stars and elegant ladies. 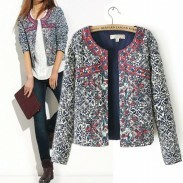 Loose Knitted Cardigan Sweater Coat, warm, simple design but stylish, popular to many fashion stars and elegant ladies. High quality acrylic fibers, warmer than wool, reveals female unique charm. Can match with different clothing, different styles. 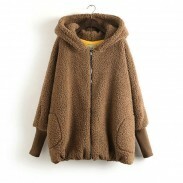 Two pockets in front part, adds more fashion element to this sweater coat. Three colors available in stock, black, army green and rose red. Very well made, but it was too big. Will be ordering one size down. Beautiful. The color is so nice fit perfectly. Definitely will buy again on different color. 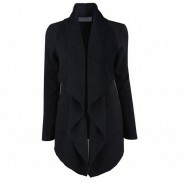 This sweater Coat so warm, looks very simple design but stylish.